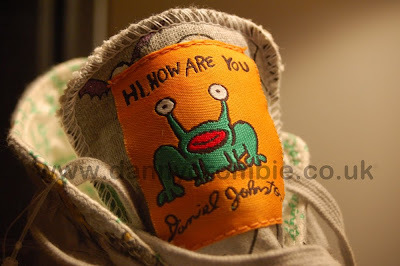 I have been working on our next radio show which will be about Daniel Johnston and Outsider Music and came across a story about the DJ Converse shoe that has clearly been designed but never saw the light of day. 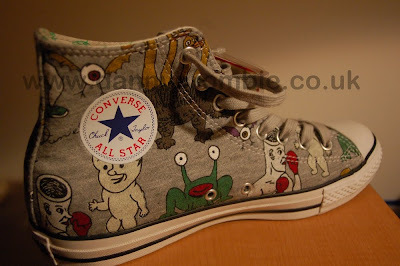 I can only hope someone at Converse comes to their senses and makes these happen for real. If you click on the link you can see more pictures of the shoe and a little more back story on them. Thanks for linking back to the site. Do you know about the Johnston iPhone game that actually is?